Aventurine is used for attracting abundance and wealth. It is supposed to be healing in stressful situations and to help relieve emotional imbalances, as it is connected to the heart chakra. Aventurine is a beautiful stone, ranging from deep green to blue to orange to yellow. Spirals are found everywhere in nature – from the shapes of nautilus shells and fern fronds, ocean waves, seed patterns, to the double helix of dna. They even look like hurricanes and tornados. 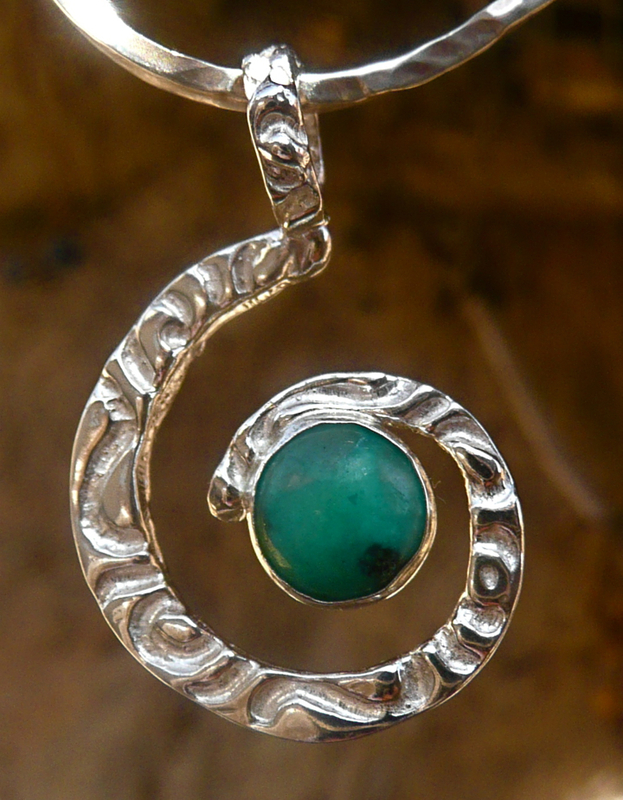 The spiral is associated with cycles of time and often with spiritual journeys. The symbol can be found in the artwork of almost all cultures, from pre-historic peoples to the present. It is a universal symbol for the journey of life.